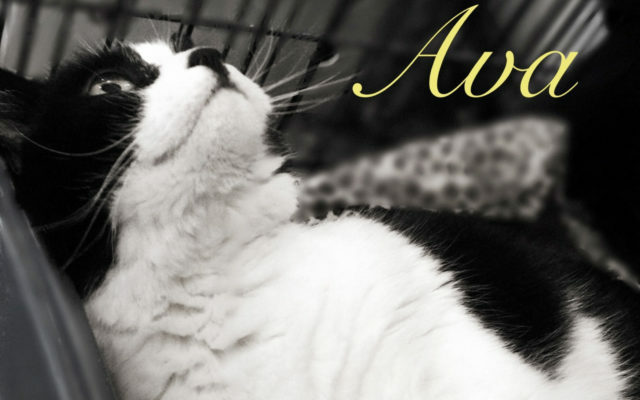 Meet Ava — a beautiful black and white “tuxedo” cat who is coming out of her shell. Ava would love a quiet home with a patient, loving human, where she could be an “only child.” This gorgeous girl loves to flip on her back and have you tell her what a good girl she is in a soothing voice. Ava is still shy, but is making tremendous progress. Are you that special person who could provide Ava with a calm and friendly fur-ever home? She would be so grateful for a chance to grow and thrive with a gentle human companion. To meet her, visit Valley Cat Haven during open hours Saturday from 11 a.m. to 1 p.m., Tuesdays from 1 p.m. to 3 p.m. or call Jean at 543-7348 for an appointment.